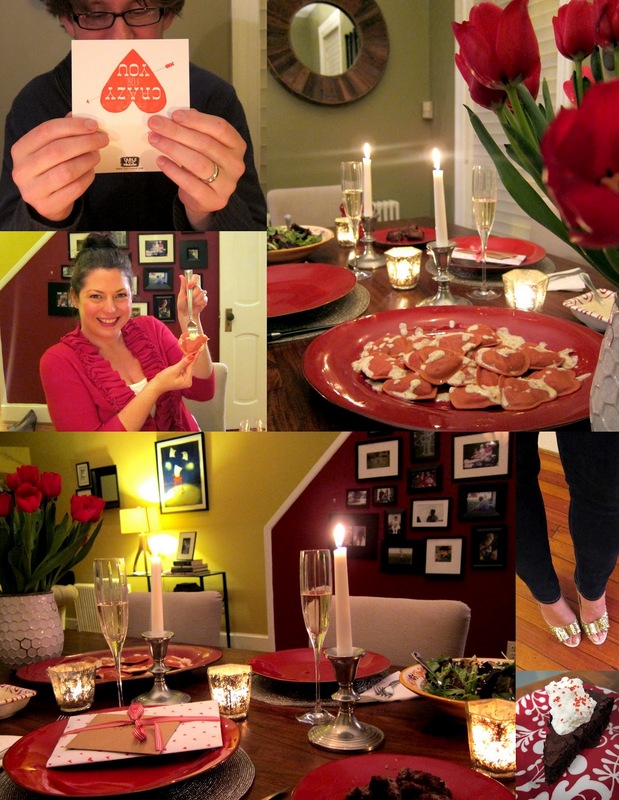 Remember last year when we made Valentine's Dinner at home together? 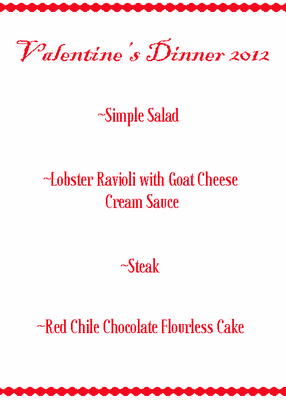 Remember me talking about how much I hate going out to eat on V-Day, and how much more romantic it is to stay in? Remember our curried mussels and the first date that never was? Remember the pact we made to cook together every Valentine's Day, to make something new to us? 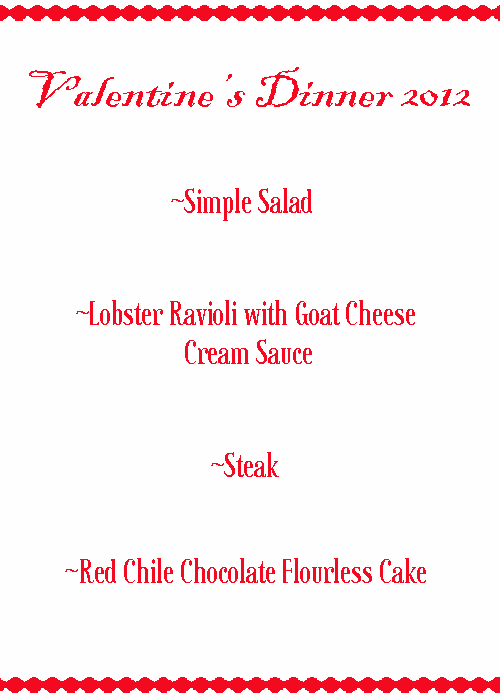 Here's last night's menu. Recipes to come the rest of the week! We had so much fun last night. wow. we ate at home last night too.. such a better idea than going out. Your ravioli looks amazing! Looks amazing! And love that you wore the shoes AND took a picture of them!! Happy Valentine's! Y'all are precious. Can't wait for some yummy recipes!! sean texted at 6 that he was leaving, so i started dinner. an hour later, i get an update that he's still there. so i scrap dinner for annie's mac and cheese. sean gets home at 11:30 while i'm already asleep. Delish! Our Valentine's Day dinner wasn't nearly as fancy as it has been in years past (pecan crusted chicken and sweet potatoes vs. seared scallops and mushroom risotto), but it was every bit as special. Love cooking together at home. Bookmarking your recipes!